When the weather is as wet and windy as it has recently been, and your good friend gives birth to a beautiful baby girl, a little bit of baking is required. 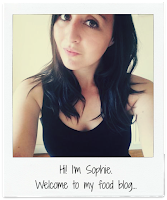 Something quick and easy was perfect for this weekend, it was one of those weekends where you have lots of little jobs to do, and before you know it BAM it’s Sunday night and you’re left wondering where the time has gone. 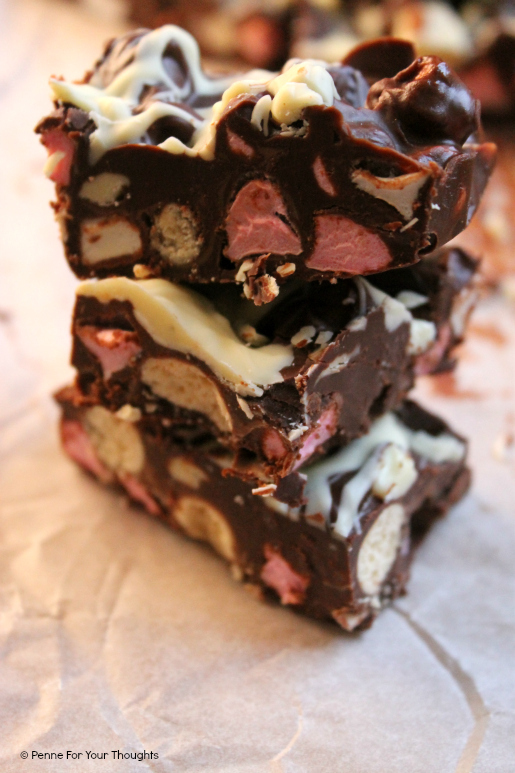 Rocky road has always been a favourite sweet treat of mine, and I love the Christmas Rocky Road I knock up every year. There is something so naughty and satisfying about these little bars of yumminess. So what did I do, I made it even more indulgent. 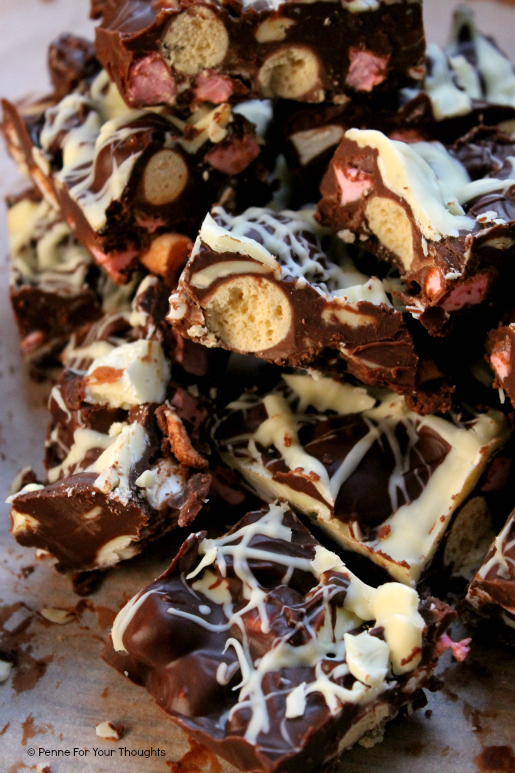 Triple chocolate rocky road. The ultimate treat for those cheat days. Also makes for a perfect dessert to a cheese and wine party. 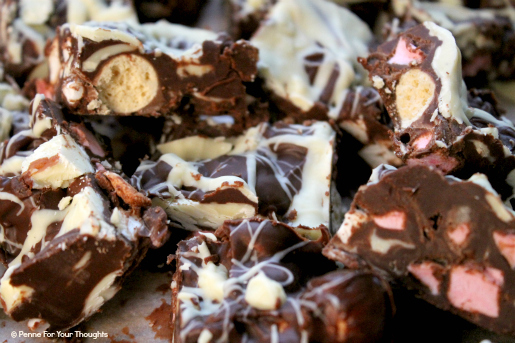 Take normal rocky road, add some white chocolate, and throw in some malteasers because why the hell not, and there you have it, a delicious no bake chocolate treat. Ideal for winter days. Or any day really. Line a square 20cm tin with baking parchment. In a heavy based saucepan melt the dark and milk chocolate, the butter and the honey/golden syrup until smooth. Take out 1/2 cup full and put to one side. Smash half the white chocolate into shards, and put to one side. Melt the other half in a seperate saucepan. Mix the malteasers and marshmallows into the dark/milk chocolate mix and pour into the tin. Smoothing over to level. Scatter the white chocolate shards, then top in a diagonal flicking type pattern the remaining milk/dark chocolate, then the white chocolate in the opposite direction. Place in the fridge to set for at least 3 hours. Once set, slice into small squares and serve.